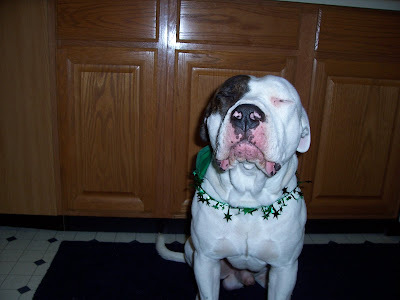 And this was Spuds on St. Patrick's day 2006, so he was 2 yrs old...and blinked in the pic, haha! 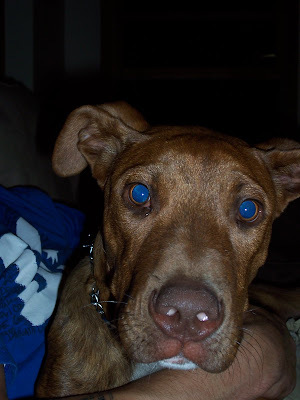 I have puppy pics of Spuds from when he was realllyyy little, but that was before the time of having a digital camera, so it will take some effort for me to get those on here. I plan on doing that at some point, he was the cutest little puppy. Well, it's 1:21am here, so I'm signing off. Goodnight! dont you wonder what we did before digital cameras? Nice pitchers Spuds! 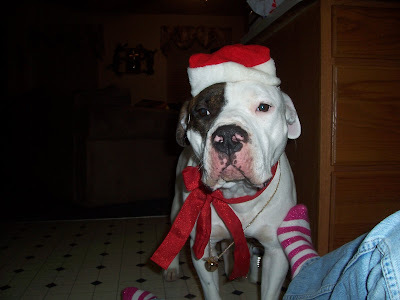 I hopes you getted sum good treets fer bein all dressed up like that. Gotta love wireless internet! I just got my own hot spot, so I can log on from anywhere Verizon has a signal! I'd be lost without my laptop!! 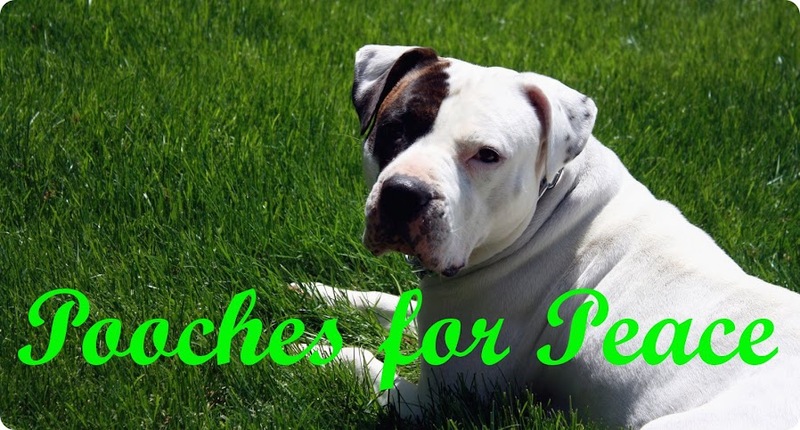 Cute photos - Spuds is quite the good sport!! Birthdays are the days we pick for our rescues :) Daisy is the same way I brought her home in March of '06 and she was bout 6 months old, so I picked 9/9/05, my grampas birthday. About right and I will never forget it.